We are on track to fund a record number of local sport stars to help them with their journey, 90% of people the GLL Sport Foundation (GSF) support receive no other funding. Last year, we funded 32 athletes from Camden. There is no age limit. These are people who are regularly competing regionally or higher in their physical activity. There were 18 different activities represented from the mainstream Swimming and Tennis to the more diverse Ultimate Frisbee. We are hoping there will be an even bigger mix in 2019. We are also pleased to support Camden stars in the sports which are continually growing in popularity such as Handball, Futsal and Touch Rugby. When a sport is growing quickly there may not be the support required for the players so our funding can help with transport, equipment and general training. 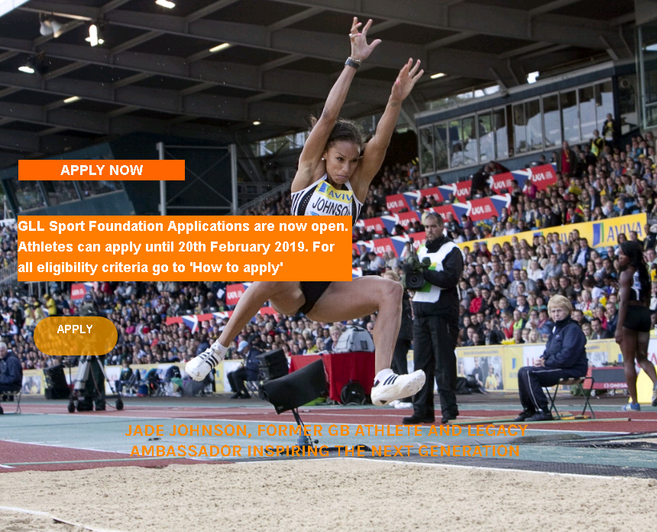 If you go onto the link: https://www.gllsportfoundation.org/ you can read all about the initiative as well as submit your application. To find out more about the criteria click on the attachment at the end of this article. The deadline is the 20th of February 2019. If you are a regional athlete who is applying for the training membership we can help you from near the start of the journey but if you are already further up thats great too as we can adapt our offer to your standard. In 2018, one of Camden’s higher profile GSF recipients was former Cumberland Netballer Kira Rothwell who plays regularly for London Pulse and has been in the England squad. Remember you will need evidence if you complete the short application form, for further questions email Daniel.Bank@GLL.ORG.